Happy New Year, only 4 days late! I feel I spent 2017 never actually catching up! I hope to do better this year. One of the more exciting things that happened last week to slow me down even further was that our car caught on fire! We were on our way to meet my husband's family for dinner and I kept mentioning how nice it was that so many people had fires burning in the cold weather and how nice the smoke smelled. When we pulled into the parking lot of the restaurant, Kevin yelled for me to open the hood and a squirrel ran out and flames were shooting out! Luckily, I'm married to a boy scout and while I was standing there in shock, he started throwing snow on the fire. So, we were able to put the fire out with snow, not funny at the time but thinking about it now...the whole family was in the restaurant having drinks and we were behind them in the parking lot with flames shooting out of our car! And, they didn't notice! After working with the insurance company and getting the damage inspected today during the snowstorm (of course, why not), we'll be taking the car in on Monday to get the melty things replaced. Most likely, they will have to replace the entire electrical harness. And...the morning after the fire, those squirrels built another nest in the engine again! I doubt if we'll ever drive this car again without lifting up the hood and checking for squirrel nests! We've lived here in the woods for over 20 years and this was a first for us. I sincerely hope the rest of 2018 isn't quite as exciting. This was my first Sherman Alexie book. I definitely look forward to reading his other books. This was a memoir written after his mother died. It's a mixture of poetry and prose describing his life and his love/hate relationship with his mother. I think I would like to listen to this book as well since he reads it. It was a lot to take in and I had to read it too fast since it was due back to the library! More later on this. Another book that I had to read too quick. A friend of my husband gave it to me and then decided she wanted it back! So I had to read it in one night so he could take it back to her yesterday. There was a lot that was interesting in this book, but there was also something about the book that just kind of rubbed me the wrong way. If you love Carly Simon or are musical, I'm sure that you would like this book. I'm not that musical and not a huge fan. Hi Diane, just starred your thread my dear and read about your excitement, not what I was imagining my dear and glad you are ok but sad about the car. Squirrels, little devils. Sending love and hugs to you all dear friend. This was my December serial read on my Nook. I should have put this in 2017 but forgot. I always enjoy reading a chapter each morning while having my tea. This was a very interesting concept for a book. It's an alternate take on World War II with women being able to join the armed forces and fight. We follow the lives of 3 young women as they decide for very individual reasons to join the fight. It was also book 1 in a trilogy (I think) so you are definitely left hanging! I will probably read the next installment if I can fit it in. This was a book about a home where the elderly owner, Elsie, has to leave and the new owners, Lucy Kiss and her husband and toddler move in. While there's not a lot of excitement, there is a sense of how life works, especially as a woman with children. It's a peaceful book with some the two narratives winding around each other. When I bought my first house, the original owner was an elderly woman who had raised her two children in the house. I moved in with my 1 year old and 3 year old daughters and had the same feelings that are in this book. The original owner came to have tea with me every week while the girls napped and it was amazing how things I was doing (for the first time, I thought) were things she had done so many years earlier! This book felt like those years to me. >4 johnsimpson: Hi John, so happy to see you! I do have some better exciting news that I will be posting as soon as I finish up! I just have to get these pups out into the snow storm again! I'm off to finish up your 2017 thread and star your new 2018 thread! Love to you and Karen! Welcome back! 4 already - that’s awesome! Hi Diane, four books finished already, I am in awe dear friend. Lovely to see you on my thread my dear and we both send love and hugs to you and the family. Happy reading in 2018, Diane! >8 drneutron: Thanks so much! I hope I can do a better job of keeping up this year! Happy New Year! >9 thornton37814: Thanks, Lori! Looking forward to getting my numbers back up! chill factor! Makes it easier to stay wrapped up reading, that's for sure! >11 FAMeulstee: Thanks, Anita! I wish you the same! This is a story about five old friends who are dealing with the oncoming loss of one of their group. It goes back and forth between present time and their linked pasts. I picked up this book yesterday at the library and sat down to look at it and did read it through in one sitting. While I feel like the story is a 3 star read, the fact that I did read it straight through counts with me. I do love when that happens! Anna has been fighting cancer for many years and has made the decision to enter hospice. Her old friends, her "new" friends and family start gathering at her home to share their recollections, food and friendship with each other as well as Anna. While I'm glad that I read this book, it was hard not to think about the first book I read by Elizabeth Berg called Before I Sleep which was done a long time ago which I have never forgotten. Well, now that I've finished my 2017 reads and started 2018, I feel a little more complete. I hate unfinished business when we're changing years! them to myself! Just buying sheets and towels for ourselves to take down. The best thing is that the renters in the summer bring their own linens. It is so nice to have something fun to look forward to for a change! >18 Berly: Thanks, Kim! It is a lot to fit in! We're taking the Toyota (the squirrel fire car) to the shop on Monday to get it fixed. They will probably keep it for a week. We have a pick up truck that we can use but it won't start in this frigid weather. So that will make for an exciting Monday! We may have to rent a car! to celebrate her 41st Birthday. My pickup truck stopped cold. Fortunately, it was coming down a low hill and I was able to steer it down the hill and off to the side. bringing the natural flow of the engine to a halt. and set in new ones. So far, no one has been able to design a screen for the muffler end that stays on. Maybe squirrels also hate Bounce. things so it makes sense that it could help with the squirrel problem! Anyway, it's definitely worth a try. I never want a burning car again! I also have two more coming in but I can't remember what they are so will list them when they arrive! Hi Diane and happy new thread in our shiny 2018 group. Well. A squirrel in your engine compartment, flames, snow flung, melty things. What an interesting way to start off the new year. But books and gift cards certainly offset it. we'll get there when we can"! Definitely doesn't make me feel warm and fuzzy. Hello Dianekeenoy! I hope you are having a great day! >5 Dianekeenoy: Front Lines sounds interesting. >24 Dianekeenoy: Creepy. Not sure it's my thing. I read King selectively and ghost stories can get chilling. chilling temps, it looks good to me! Well, the cars are causing trouble. My brakes went out today. Had to carefully (using downshifting to slow down) get it over to Les Schwaab and they said the piston blew out and all the liquid was gone. Had to leave it over night and my hubby met me there and we drove over to get a rental. No fun at all. Made me late for my 1st class on Octavia Butler! Grrrr. >28 Berly: Oh no, that's such a scary feeling. So glad you were able to stop safely. That happened to Kevin with our pick-up truck a few years ago, but he was going down a hill and had no brakes at all. He pulled the emergency brake and was able to get off to the side of the road. It's funny but I had never given the emergency a thought about using for that, I only think to use it when parked on a hill. I was happy to hear that you did get a mustang to drive, that's always fun! I read B.A. Paris' first book, Behind Closed Doors which was excellent so I was excited to get The Breakdown. Cass takes a short-cut home one very rainy night passing a car that appears to be broken-down with a woman sitting in it. When the woman doesn't seem to need any help, Cass continues on home. When she hears the next morning that a woman has been murdered on that road the night before, Cass begins a downward spiral. She can't tell her husband, he specifically told her not to use that road since it was so secluded and she's afraid to tell the police because she didn't make more of an effort to see if she could help. Now, she is starting to forget things and appointments, things she ordered. This is doubly frightening since her mother died of early onset dementia. It started off a little slow but keep reading because it starts picking up speed and continues on to a most satisfying conclusion. The Future is Written by Jonas Saul - Come to find out this is a compilation of the first three books in the Sarah Roberts series. He's finishing up book #20! Hi Diane my dear, seven books already, wow I am impressed. I love your news that you are buying a condo on the beach dear lady and I can imagine you having lots of lovely time there, that would suit me enormously. If we ever get the chance to come over and meet up it would be lovely to see it dear friend. We send love and hugs from both of us. >32 johnsimpson: Oh, thanks so much, John! I am so excited! I have been busy getting everything done to make it happen. We would love to have you and Karen come and visit anytime! Love and hugs back! I missed see it above - congrats on the condo purchase. >34 karenmarie: Thanks, Karen! I'm so excited but Kevin is very nervous! I'm trying to keep my excitement level to a manageable level so that I don't send him over the edge! In case you couldn't tell, he's the anxious one in our marriage! And, I never worry I prefer to jump into action and solve whatever needs fixing. Waiting for the snow to start again up here, expecting between 4 to 6 inches. Oh, and I did get Kinsey & Me and really loved it! Thanks for your great review that made me instantly order it on Amazon! I was so sad to hear that Sue Grafton had passed away. While I haven't read all of her alphabet series featuring Kinsey Milhone, I did make it through to S. I will finish the series but in the meantime, I wanted to read this book after reading about it on Karenmarie's thread. The first part of the book are short stories about Kinsey which were excellent. The second part of the book is about "Kit Blue", a younger version of the author also in short story form. This part is heartbreaking. Sue Grafton was raised by alcoholic parents which meant that she and her sister had very little parental involvement while growing up. It was hard reading this part of the book without tearing up. This is definitely a book that I will want to re-read and keep permanently in my library. I will admit that it took me a little while to get into this book but once in, I stayed up until 1:00 am to finish it. Anna Kerrigan goes with her father every chance she gets while he does his mysterious errands while her mother and severely crippled sister wait at home. Then, years later, her father disappears leaving a bank book behind with no explanation. As the country goes into World War II, Anna wants to become a diver, the first woman to do so at the Brooklyn Navy Yard. There's a lot going on in Jennifer Eagan's first historical fiction and the part about the crippled sister felt so familiar to me, I thought I had already read this book! It was definitely similar to another book that I've read recently but can't think which one. Still, it held my interest and I kept reading to see what would happen next. >36 Dianekeenoy: I'm so glad you enjoyed this book and are keeping it on your shelves! Nine books already! The small town librarian who helped me learn to be read would be very proud of you if you were one of her frequent visitors. I agree about the scariness of Mary Rose I started it today and put it down. >38 karenmarie: Hi Karen! Well, I was going to keep it on my shelves but I decided to share it with Linda (Whisper 1). She's so generous sharing books with both me and my grandson, TJ, how could I not share?!! I did love it, though and read most of it with a lump in my throat. >39 Whisper1: I know, right? Mary Rose scared me, too but I did pick it back up and finished it. It was so good seeing you and Will on Saturday, we could just talk for a hundred hours and never run out of things to say! I won this book through Librarything Early Reviewers and I'm so glad that I did! Venus Black is a straight A student who loves astronomy and wants to be an astronaut. Until, the night that she commits an unthinkable crime that tears her family apart and puts her in the middle of a media storm. She won't talk about the crime and we won't find out exactly what it was until the end of the book. Her brother, Leo who is developmentally challenged then goes missing. We then fast forward 5 years and Venus is released from juvenile prison and must start her life over. This is Heather Lloyd's debut book and she did a wonderful job! I will definitely watch for her next book. This one comes out February 27, 2018. Watch for it. Diane, I am not sure how I managed to miss your thread, but better late than never. >42 Dianekeenoy: That looks like a good one! In fact, all your recent read look good. Dangerous woman you are...! Hi Diane, i hope you had a good weekend my dear and that everything is good with you and your family dear friend. Sending love and hugs. very talented at capturing just the right shot. Hope 2018 is very good to you and your family. I'm always surprised we aren't thrown out of the restaurants where we meet because we talk for hours! >45 johnsimpson: Hi John, we had a wonderful weekend, we closed on our condo last Friday and spent the weekend there which was just so much fun! I am going over to get caught up on your thread and see what you've been up to! Love and hugs to you and Karen! This was a fast read and resonated with me because we lost my mother-in-law to dementia last November. While this book is about a daughter who moves back home for a year to help care for her father, it wasn't depressing. It might not be for everyone, but, I enjoyed the diary like entries and the humor that we all need to keep on going during rough patches in our lives. keep you reading! Angela's husband, Jason, is a public figure who is accused of sexual harassment by one of his interns. Angela, has secrets in her past that she needs to keep out of the public domain as well as protecting her son. This is a timely book since the accusations have been coming out against men, especially in the entertainment business and the #MeToo movement that this has created. Are the charges against Jason real or manufactured? And, in the end, will it actually matter to Angela? This books holds your attention until the very last word. Excellent! to rent it for at least 11 to 14 weeks which will make the rest of the year all ours! We're heading down again in a few weeks and will be taking the 3 pups with us. I've already gotten their car restraints and motion sickness pills ready to go! I'm hoping in time that they will become good travelers and happy little beach dogs. Hope everyone is staying warm! >42 Dianekeenoy: I just preordered this book from Amazon - sounds wonderful. >52 karenmarie: Hi Karen, you are welcome to have my copy if you like. This is a harrowing story of two Korean sisters under the Japanese occupation. Hana is a haenyeo, one of the female divers like her mother on their beautiful island of Jeju. The divers enjoy an independence that other Koreans do not. They catch their own food and are allowed to sell the surplus in the market. Hana has a younger sister, Emi who waits on the shore keeping the birds from eating their catch. Their mother entrusts Hana with the safety of her little sister at all times. They live a happy and productive life in spite of the occupation until one day as Hana comes up from under the sea, she sees a Japanese soldier heading towards the beach where Emi sits. To save her little sister, Hana swims quickly ashore and attracts the attention of the soldier while telling her sister to stay quiet and hidden. Hana is captured and transported to Manchuria and forced to become a "comfort woman" to the Japanese soldiers...at age 16. As we read about this, we are also reading in the present time about Emi. She has spent more than sixty years living with the guilt over her sister's sacrifice. The lives of both sisters are both heroic, tragic and completely spellbinding. I read this book in one sitting last night. The author's notes are not to be missed. She explains the history behind the story telling us that between 50,000 and 200,000 of South Korean women were kidnapped and forced to become comfort women to the Japanese army. Most of the time their parents did not know what happened to them. The history of these "comfort women" was unknown until 1991 when one brave woman, Kim Hak-sun told her story and filed a lawsuit against the Japanese government. A book not to be missed. How have I never heard of F. Paul Wilson before this book? He's written quite a few books and according to reviews that I've read has quite a following for his Repairman Jack series. The God Gene has the two main characters, Rick Hayden and Laura Fanning from Panacea returning to search for the missing link. While I didn't read Panacea (because I didn't know about it), I didn't have any trouble keeping up with the action. Rick's brother, Keith, a zoologist and author has liquidated his assets, completely deleted all his research and disappeared. The only clue is the death of a blue-eyed monkey like creature that Keith had been studying. Looking for his brother leads Rick and Laura on a journey to an unknown island not far from Mozambique. Lots of action and as we learn more about this little creature, the more invested you became in the story. I enjoyed this book, read it in one sitting and will definitely be looking for more of his books. Hopefully, I will do a better job of reading in the correct order! This was the debut novel by Alexandra Oliva and she did a great job! The story kept me reading until I finished the book. It starts out as a reality show with twelve contestants. The show will end when only one contestant is left. There are group challenges and solo challenges. They are on a solo challenge when something terrible happens in the real world which they know nothing about. While we learn about each contestant, our primary character, Zoo, is the one we follow until the end of the book. I really don't want to say anymore because it's just better to read and find out how she handles both the contest and real life. I will definitely make sure I read Alexandra Oliva's next book! White Chrysanthemum by Mary Lynn Bracht - 5 star AND Manhattan Beach by Jennifer Egan - 4 stars are now on the tbr list. You read some great books thus far inn 2018. Thank you for My Name is Venus Black, Diane! I hope you're having a great Sunday so far. Congrats on the condo closing!! You will definitely have fun with that. Okay, now back to reading...! Happy Sunday. What a great time we had at the Bethlehem Library book sale! As always, I came home with lots of books recommended by you. I will see Diane on Sunday. If she hasn't checked LT by then, I'll be sure to give her your regards. There is a great diner located 1/2 way. We meet there periodically in between library book sales. >57 Whisper1:. Hi Linda, I've read a lot more good ones! Will get them updated very soon! >58 karenmarie:. You are very welcome, Karen! Sorry for the delay, I don't know how the time goes so fast! All good here, will update a little later. >59 Berly: Thanks, Kim! We are having so much fun getting the condo set up the way we like. Spending as much time there as we can before the rental season starts. >60 Whisper1:. It's always so much fun when we get together, then add books to the mix and it's a party! >61 Berly: Hi Kim, all is great! I spent a week with my two grandsons in Cape May and we had a blast! Then, their mother (my daughter) came down for the weekend with her boyfriend and we had to start behaving ourselves! >62 karenmarie: Hi Karen, thanks for checking in! I have been keeping up with my favorite threads, yours being one of them but very neglectful of my own! I hope to remedy that very soon! >63 Whisper1:. Looking forward to seeing you later, Linda! Just as soon as I am able to get the pups off my lap! >64 PaulCranswick: Hi Paul, thanks for checking in! I am doing great and really enjoying the beautiful pictures of England that your beautiful wife has been taking! Well, I'm not doing a very good job of keeping up again! I have been reading pretty steadily and listing in LT but not here. I find it funny that the last book I posted was called The Last One! I will see if I can catch up here but there won't be many reviews, just too far behind but at least I did remember to star them as I listed them. Quick update, after spending a lot of time in our little condo, it's all ready for the summer renters. The first ones go in this Saturday, June 9 and we're rented right up until September 1 so far. So, 12 weeks rented and our costs are covered. We're very happy about that. I was able to spend a week there with my two grandsons for their Spring Break and we had a blast! I also spent Mother's Day weekend there with my two daughters and I have to say it was the first Mother's Day since I lost my mother four years ago that I was able to enjoy. I went to a Victorian Flower Show while waiting for my girls to get down, then we spent the day at a Craft Fair, had tea in the Physick Tea Shop and then Mother's Day brunch at a wonderful Victorian hotel on the beach. So much fun! Listened to this on audio and absolutely loved it! This book was devastating and excellent. I loved it! I got this as an ARC from my local library book club. One of my Nook serial reads, a chapter a day. I can't even remember anything about this one! I listened to this on audio and loved it! Will definitely get the next one! Actually, this book is between recommended and acceptable, maybe acceptable plus or 3.5 stars out of 5. I did read it straight through and it held my interest but the subject matter is very difficult especially after my last book from last month which was about a school shooting. Rob and Anna Coates live a wonderful life in London with their son, Jack. Until, one day, Jack falls, first off his bike, then again while playing. We go through the doctor visits, the tests, the diagnosis and treatments with the Coates family. While this is a good debut novel by Luke Allnutt, we know almost from the beginning that there’s no happy ending here. The author writes in the beginning that he had been diagnosed with cancer at the age of 36 and started writing this book while he was in the hospital away from his wife and two year old son. He wanted to leave them something to remember him by. He states that he wanted to be honest about how people respond to tragedy, with dark thoughts and sometimes unsavory actions. I feel that he definitely got that part right. While I’m certainly not sorry that I read this book, the spark that makes you tell your family and friends they must read this book was missing for me. A good one, really enjoyed this. You can never go wrong with Laura Lippman. to read sometime this year. I can't believe it took me this long to discover his books! Another one of my Nook Serial Reads, always fun to read a chapter a day while drinking my first cup of tea! Wow, this one was a page turner! And, I'm still not completely sure if I got the ending right or not! Highly recommended! Of course I read and own this book and loved it when it came out! I think this is one of Stephen King's best books. To listen to it on audio is a whole other thing! It was almost impossible to stop listening to. Luckily, I got to listen to most of it on one of my trips to NC to see my dad. So highly recommended! Book 2 of the Tearling trilogy and just as good as the first book. Again, listened to on audio and enjoyed it so much! Very good, really puts you right into the way of life in Alaska. I’m from North Carolina so it’s a law that says Southerners must love Rick Bragg! I have always loved him and will read anything he wants to write! While this is a cookbook, it’s also kind of an biography of his family and especially his Mother who is “The Best Cook in the World”. This is a book you can pick up and read a chapter here and there, check out a recipe, maybe think about making it and put the book down. I don’t think these recipes will appeal to everyone. I’m from the South and there were quite a few that I wouldn’t eat, like Pan Roasted Pigs Feet with Home Made Barbeque Sauce or Baked Possum and Sweet Potatoes! But, then when I read the recipe for his mother’s potato salad, I was so happy to see that it was also my own Mother’s potato salad recipe which I will be making this summer. I loved this book and will keep it in my library to go back to again and again. My Nook Serial Read - this one was just so much fun! everyone but his fans will like it for sure. A free audiobook I got for International Book Day, one of nine, I think. It was interesting. However, if you can hang in there for a little while, then you become invested in this story and the people living in Elberta. It’s a moving story of a town that was made and then to be destroyed by the Hernando de Soto Dam. It was no surprise to me to read in the writer’s notes that he was a big fan of Rick Bragg since his writing certainly reminded me of Rick Bragg. An ARC from my local library book club. No Touchstone yet. I chose this book because of my interest in the wolves at the Lakota Wolf Preserve in Columbia, NJ. I’ve been there several times both with children and adults and it’s always inspiring. While this book got an average of 4.5 stars both from Amazon and Goodreads, I was too easily distracted while reading this book. I did enjoy learning about each member of the Sawtooth Pack and their life together but the alternating chapters between Jim and Jamie Dutcher become repetitive and just a little dull for me. The best part of reading this book is that it lead me to research the other wolf packs they mentioned as well as Gordon Haber and others who have worked so hard to protect them. An ARC from my local library book club. Another Nook Serial Book which was very good. This was a fun, touching book! Recommended! Did not finish...life is too short and that sort of thing! I really enjoyed this book and was surprised to see it was written in 1976! Can't remember how I heard about it but certainly glad I read it. A familiar story about the end of the world as we know it. A large wealthy family, the Sumners of Virginia decide to prepare by setting up a research center deep in the Shenandoah valley to survive the oncoming apocalypse. What they learn about the fertility loss suffered by their men and women and animals force them to start cloning. Everything seems okay until it isn't! No zombies here but frightening can come from unexpected directions. Reccomend. I loved this book! Picked it up this morning to see what it was about and just finished it! The perfect book to read on the first day of June. Totally neglected my chores but so worth it. This book is set in the not too distant future of 2029 in Japan. The fertility rates have dropped extremely low and the elderly are living even longer. Japan is bringing in more and more immigrant workers to take care of their old. They are also working on artificial intelligence to handle where humans are falling short. After a slow start, I really became engrossed in this story of the Filipina nurse, Angelica Navarro who is caring for Sayoko Itou, a very private woman about to turn 100 years old. Sayoko’s son sends his mother a prototype robot caretaker that educates itself to bond with her and anticipate her needs. Needless to say, Angelica fights against this AI as she sees and hears how attached Sayoko is becoming to her robot. While I know that science fiction lovers (and you have to question how much of this is really science fiction) will really like this book, the story is engrossing enough for most readers. Once I got into this book, I did read it straight through. I loved this! Definitely going to finish the trilogy. I think audio made this more fun! Wow, you are chatching up fast, Diane! >121 FAMeulstee: Thanks so much! Makes me feel so much better! Just came in from planting a lot of my pots. >124 drneutron: I loved GUPPY!! The voices are so good. I can't wait for the next one. Good morning! Well, I got most of my pots planted up and moved them to the gate for placement later. I woke up around 3 am with my back frozen in place and unable to move. I don't know how people with back pain can even function! 3 Motrin later and starting to move slowly. Guess Kevin will have to take over the carrying. Wish I had thought to have him do it yesterday! I enjoyed Alice LaPlante’s book, Turn of Mind and was very excited to get this ARC of her new book coming out this July. I have to say I was surprised that this book only had 259 pages since it seemed like at least 1,000 pages long to me. I probably wouldn’t have finished it but I kept thinking it would get better soon…it didn’t. You would think that a book that had children disappearing from the small seaside town of Half Moon Bay would be a lot more interesting, but no. Jane has lost her teenaged daughter in a traffic accident and is having great difficulty coping. After getting into serious trouble in San Francisco where she lived with her husband and daughter before the accident, she decides to move to Half Moon Bay. She cobbles together a sort of piecemeal life with a job at a nursery and sort of friends in the town. When a new beautiful couple move into town, Jane is smitten with both of them as they take her under their wing. Again, this sounds like it should be a very good story, but alas, it’s not. I feel bad not liking this book because I do like the author. I received this as an ARC from my local library book club. >123 Dianekeenoy: I recently read Euphoria and recommend it highly. >Thanks, Karen! I will move it up my pile! Could definitely handle a good book after that last one! Hi Diane--Wow, way to catch up on your reviews!! Congrats on already passing 60. And with a friend like Linda, who needs B&N? LOL Hope summer is treating you well. Hi Kim, time to catch up again! Summer is going great, just too fast! Enjoyable but not as much fun as the cover promised! A good summer read. This audiobook kept me wearing make up more often since it was on my iPad! Really enjoyed it, narrator was excellent. Excellent book, can definitely recommend. This book was just good as I thought it would be, loved it. An audiobook I listened to in the car. It held my interest, good summer listen. a book I need to keep in my library. Excellent book, as good as all the reviews. her books. But, this book was just a wonderful book whether it's summer or not! She's back! Very good audiobook, good narrator...kept me listening. This was a very quick, uplifting little book about family, death and forgiveness. It's the one year anniversary of the death of Rhonda's mother and she receives a package in the mail from her mother. The package contains a yoyo and instructions for her to hand deliver to her brother. There are other packages and other instructions which will help bring the family back together and start their recovery from the grief that has kept them from moving forward. This dystopian story about the silencing of women is set in the very near future in the suburbs of Maryland. Women are allowed to speak only 100 words a day. (Imagine this considering the average human utters something like sixteen thousand words each day.) They are no longer allowed to go out to work but must remain in the home to take care of their families. They are required to wear a band around their wrist that delivers an electrical shock that increases with every incident. Cameras are installed in homes to monitor any form of alternate communication, such as sign language, writing or mouthing. Books are removed and computers are locked away. This and other repressive measures instituted by the current government are meant to retrain women to function as submissive wives and mothers, as the Christian bible instructs. Jean, a former scientist, is married to Patrick, a doctor and has four children, three boys and a six-year old daughter, who has her own wristband. When the President’s brother has an accident and develops aphasia, suddenly the government needs the expertise that Jean has. She is offered a short reprieve and “asked” to return to her research to find the cure. Jean narrates this story in a very powerful first person narrative and from the very beginning, her anger drives this story and brings the reader along with her. I was shocked and horrified by each revelation of what had happened and what was still happening to the women. As the author states in her introduction, the most terrifying thing is the threat of a society in which children are deprived of language. When she first started studying linguistics, she read the story of Genie, a “wild child” rescued from abusive parents in 1970. Almost fourteen years of isolation had left her without language and beyond hope of ever acquiring it. She states that her own fear and anger about poor Genie stayed in her mind from the first word of this book to the last. This was a thought provoking book that was also entertaining. So glad I read it. As you can see, not much on actual reviews since I've been to NC and brought my father back to NJ for a two week visit. We're having a great time but not a lot of time to read as much as I like and definitely not much time to review. The only real review is for Vox (due out on August 26) which is an ARC for my local library book club which meets tomorrow so that explains that! I'm reading another ARC which I won't be able to finish tonight for tomorrow but it's also really good...Where the Crawdads Sing (due out August 14) by Delia Owens. shower for another niece but that's just down the road, only 15 minutes away for us at least. With 15 nieces and nephews, most all of them now of marriageable age, I'm predicting a wedding and one or two showers a year for a long time! My daughters will be going with me to this shower so we have the guys coming up in the late afternoon and we'll have a barbeque at home so they can spend some more time with their grandfather before we head back to NC on Monday. My two grandsons are going to ride with us and we'll spend a few days in NC and take a few days coming back home. I've got us a hotel suite (they refuse to sleep together!) reserved in Stausburg, VA with a private horseback riding trail ride at one of the oldest horse farms. After talking to the woman at the farm and telling her that the boys have never been on a horse and I haven't been on a horse since high school, we both decided it would be better if we had our own instructor and made up our own little group! I want the boys to enjoy themselves and not be intimidated. Kevin can't believe that I'm going on a horse with them...what grandparent would let their only two grandchildren ride off on a horse for an hour over hill and dale where they couldn't be seen? Well, certainly not me! This could be a very good story later when I get back or it may never be mentioned again! This is a coming of age story, a mystery and a haunting story of love for the natural world. Kya’s father brought the family to this marshland after he was wounded in WWII. He was a bitter and abusive man. Kya is deserted first by her mother at the age of six, then her siblings fled their abusive father, one by one leaving Kya behind. Kya had to learn to survive on her own in the marsh keeping away from her father when he was drinking which was most of the time. He did spend some time with her teaching her how to use the boat and catch fish. But, soon enough, he leaves and never returns. She is on her own by the age of ten living in the North Carolina marsh living on what she could find in the wild and trading fish and mussels for her staples and gas for her boat. She learned not to trust or depend on anyone but herself. The book has chapters moving back and forth between Kya’s story from her abandonment at six to a murder trial in her twenties. She had grown into adulthood with only occasional interaction with the local store owner, his wife and two local boys who are drawn to her beauty and wildness. The author is a scientist and that shows up beautifully in this book. This is her first book of fiction and I look forward to her next one. This was my Nook Serial Read for July. It was really good and I looked forward to reading the available chapters each morning. I'm finally home and expect to stay here for at least the month of August! I got my dad home safely and got myself and my two grandsons back to NJ safe and sound. Our horseback riding adventure was cancelled because of the pounding rains but we still had fun at the hotel in Strasburg, the boys swimming until they turned into prunes and then watching a movie and talking very late into the night! They are just so much fun and very interesting to talk to as well. At breakfast the next morning while I was paying the check, I turned around to check on them since they had disappeared from my sight and they were holding the two heavy doors open and helping an elderly lady with a walker into the restaurant...I was so proud of them and she was so sweet telling me how well they had been raised. My daughter has done a wonderful job raising these boys! Anyway, the pups had gone into a decline while I was gone again, so they are all three attached to me all the time, at least for now. Once they see that I won't be going anywhere for long, they should start to settle back down to their little independent selves. Where is this summer going? I plan to spend the rest of August working in my flowers and sitting on my porch and in my gazebo reading and drinking ice tea! >147 Dianekeenoy: Congratulations on reaching 75, Diane! >150 FAMeulstee: Thanks, Anita! It kind of snuck up on me! >151 drneutron: Thanks, Jim! I am pretty excited! Hi Diane, congrats on reaching 75 books read my dear, the big books were going well but with the really good weather we have been having and jobs in the garden to get on with, my reading has slowed down but from September I hope to catch up and get to my target of 60 Chunksters read by year end. Hope all is well with you and the family and the dogs my dear friend and that you have had a really good summer so far. Sending love and hugs to you and the family from both of us dear friend. >154 johnsimpson: Thanks, John! So glad you've had good weather to work in your garden, our weather has been very wet, muggy and super hot! We're all doing well and it's been a very busy and happy summer so far. Looking to staying home in August and getting my own garden in order. I've been keeping up with your Chunksters and you have done some great reads this year! Love and hugs back to you and Karen and your family. This book was terrifying and definitely isn't for the faint of heart. While I liked this book and read it in two sittings, I would hesitate to recommend it to some of my more tender hearted friends. Seven year old Wen is playing outside the very remote vacation cabin where she and her fathers are staying when a friendly stranger comes up and helps her to catch grasshoppers. Then, three other strangers come up the driveway with strange weapons and an even stranger story about needing their help to save the world. This was very thought provoking, are the strangers telling the truth or are they completely insane? And, what difference does it make when they need your help to save the world? I picked up this book at my library on Tuesday and stayed up until midnight that same night and read this book straight through. This is Paula Saunders' debut novel and it's wonderful. It takes place in South Dakota after World War II and is the story of a family who with the best of intentions starts to fall apart as the children start to grow up. Told mostly from the point of view of the daughter, Rene, she and her brother Leon share a love for dancing. While he has to endure brutal teasing as the only boy in their ballet class, she excels at everything she tries and is adored by her father. As the years pass, the parents start fighting more and their home becomes more toxic for their children, by then a third child has been born, and they each start down their own path. It's hard to put into words how strong this book is, it's also not all negative. It's a glimpse into a family that starts out so well, then shows how little it can take to change their lives not always for the better. However, through out it all, there is love and caring that transcends everything. Definitely recommended. Congrats on reaching the magic 75!!! Glad you are all back safe at home again. Sounds like you really will have lots of showers and weddings coming your way!! And I love that your grandsons are so considerate. >158 Berly: Thanks, Kim! It kind of snuck up on me. I'm so glad to be home, I used this past week to get caught up on everything and still managed to have fun! My youngest daughter came up yesterday and we had a blast getting pictures framed at Michaels and buying her lingerie for an early birthday present! While this is a well written book and I did like it, I couldn’t help thinking that Stephen King and his son, Owen King did such a better job with their book, Sleeping Beauties. Set in an isolated college town in California, a college freshman falls asleep and cannot be awakened. Soon after, more students start falling asleep and panic starts spreading through town. The infected are showing unusual levels of brain activity, much more than ever reported and this is kind of where I lost some of my interest. What does that mean and where did it take the story? I was never sure and for me, it didn’t take the story far enough. As the town is quarantined, you get a sense of what is going through the minds of the people that haven’t been affected yet, but still, I feel the panic would be more stringent in real life. This story reads like you’re reading it in a dream state and if this is what the author intended, she definitely succeeded. Jodi Picoult never fails to deliver and once again, she has written a book that, not only keeps you reading until you’re done, but is fearless in writing a book that shows all sides of the debate over abortion rights without preaching. It doesn’t matter where the reader stands on this debate, this is a wonderful novel that makes you think and perhaps might even help start a conversation looking at all sides. It starts off on a beautiful warm fall day in a women’s health clinic that offers care to anyone who comes in needing help. Then, a distraught gunman bursts in and starts shooting and taking hostages. Hugh McElroy, a police hostage negotiator is one of the first on the scene and starts making his plan to start communications with the gunman. Then, to his horror, he finds out that his 15 year old daughter, Wren, is inside with her Aunt Bex. She will be sharing the next hours with other unforgettable characters as the story counts backwards. A very interesting narrative structure that works very well in this story. The story traces what brought each very different individual to the same place on this eventful day. I think that’s the most intriguing thing, it doesn’t take much to change the outcome of a normal day for anyone. I found myself holding my breath at certain points and it was very hard not to peek at the end of the book because I was so worried about the characters! But, I didn’t. Highly recommended. Good, enjoyed this British mystery of a missing twin. Of course, I didn't know this was book 3 in the Detective Jennifer Knight crime thriller series! I would definitely look for the first two to listen to. The reader did an excellent job. >140 Dianekeenoy: I loved Magpie Murders and really need to get this one. >161 Dianekeenoy: Good review. I've only read one by her, My Sister's Keeper, but it moved me profoundly. I don't know why I haven't picked up any more by her, but this one's now on my wish list! >163 Berly: Hi Kim, me too! This was a really good one! >164 karenmarie: Thanks, Karen. You will love both of these, that's for sure! This was a good summer read that was very hard to put down. While the book was based on a true story that happened in 1937, an explosion in a New London, Texas school that resulted in the deaths of more than 300 children, the story is fiction. The author said after she read about this, she couldn't imagine how the families were able to move on after losing an entire generation of children. Her book is one way to imagine trying to come back from something as horrible as this. Recommended. It's hard to go wrong with a book about a bookshop and books, especially in the summer! Miranda hasn't seen her Uncle Billy in years after he and her mother (his sister) had a falling out. When he dies and leaves her Prospero, the bookstore she spent so many happy hours in as a child, she goes home to sort it all out. Her uncle has left her the first clue in scavenger hunt for the truth of what happened all those years ago. Enjoyable summer read. This was just a delightful book! The back of the book says this is Leif Enger’s first novel in ten years, I will definitely be looking up his previous books to add to my TBR pile! (Actually, I just ordered one from Books a Million!) Virgil Wander owns an old dusty movie theater in the hard luck town of Greenstone, MN when his car flies off the road into the icy waters of Lake Superior. He’s pulled out and survives but is missing some memory and most of his adjectives. This dramatic change to his life makes him more receptive to change so that when an old man, Rune, shows up wanting to know about his lost son, Virgil invites him to stay with him in his apartment on top of the theater. The quirky characters in this book are resilient and engaging in their quest to keep their dying town alive and vital. David Enyeart, bookstore owner of Common Good Books says, “Our Midwestern readers are the perfect audience for this book, and I can’t wait to put it personally in their hands this fall.” I say our New Jersey readers are also the perfect audience for this book as well as most of the other states! Happy to recommend this book! An ARC from my local library book club. It's due out in October, 2018. >167 Dianekeenoy: You can't hit me with a book bullet on that one since it was already on my TBR list, but I'm glad to hear it is as good as it sounded from the list of forthcoming books and blurbs! >170 thornton37814: Hi Lori! You will enjoy it when you get to it, that's for sure! >172 Whisper1: Hi Linda! Thanks, thinking of you, too! Very excited about tomorrow! A fun, exciting chapter a day read on my Nook! A very good end of summer read! This was my first book by Alex Marwood, I will definitely be looking for more of her books. first novel. Definitely someone to watch! I listened to this book in the car while running errands. This is historical fiction based on truth of a young man, Asa Mercer who travels from the Seattle territory to Lowell, Massachusetts to bring back upstanding young ladies to marry and tame the men of this wild territory. The story is mainly about three of these women who are completely different from each other but cling together as they travel and settle down in Seattle. They have nothing to lose since the Civil War has made Lowell, Mass. a town with mostly closed mills and the men off to fight and die in the war. An interesting glimpse as well into the women's suffrage movement which was starting up as well in the western territories. Excellent and very interesting book, especially to listen to! I've been reading a lot of library books and ARCs lately while my own books look on forlornly from their stacks! So, I put them down and picked up Clock Dance which I purchased on the day it was released. I love Anne Tyler and own and have read all of her books. I loved this book as well and after settling down in my favorite reading chair, read it straight through. Willa Drake is 61 years old living with her second husband in Arizona when she gets a phone call from the neighbor of her son's ex-girlfriend. Said ex-girlfriend has been shot and someone needs to take care of her daughter while she's in the hospital. So, although Willa has never met the little girl or her mother, she decides to go and help. There, we watch Willa step out of her very careful persona and finally start to speak up for herself and others. It's a wonderful journey and we get to go along for the ride. The book is broken up into several parts, starting when she's eleven, then skipping to her life at twenty-one, then forty-one before we start her journey at sixty-one. As always, her secondary characters are delightfully eccentric and add that special dimension that Anne Tyler is famous for in her books. Highly recommended! Marie Benedict wrote The Other Einstein which I really enjoyed so I was really looking forward to reading her new book. And, it didn’t disappoint. This is historical fiction but she did quite a lot of research to flesh out the life of Hedwig Eva Maris Kiesler who we knew as Hedy Lamarr. What I did not know until recently was that she was much more than just a stunning beauty. She also possessed an incredible scientific mind. Hedy was born in Vienna, Austria in 1914. As the Nazis began to gain power, her Jewish parents encouraged her to marry a wealthy Austrian ammunitions manufacturer who they felt would save their family from the Nazi horrors. Underestimated because of her beauty, she overheard the the Third Reich’s plans while at her husband’s side. Her marriage however eventually became unbearable and she devised a plan to flee in disguise from their castle, first to Paris and then to London where she met Louis B. Mayer, head of MGM. Making friends with his wife, she became Hedy Lamarr. At the beginning of World War II, she and composer George Antheil developed a radio guidance system for Allied torpedoes, which used spread spectrum and frequency hopping technology to defeat the threat of jamming by the Axis powers. The patent for this groundbreaking invention, although rejected by the Navy, was classified as top secret and in the 1950s, given to a contractor for the construction of a sonobuoy that could detect submarines in the water and then transmit that information to an airplane above using Hedy’s unjammable frequency-hopping idea. Later, the military and other private entities began to make their own inventions using this interpretation of spread spectrum technology – without any recompense to Hedy, as the patent had expired. And, today aspects of her frequency-hopping idea can be found in the wireless devices we use every day! Not just another pretty face! ARC from my local library book club. Coming out in January 19, 2019. >180 Berly:. You can't go wrong with either of them! Hi Diane, and happy fall to you. Central NC still thinks it's summer, unfortunately, but we'll get there eventually. Hi Diane my dear, just thought I would stop by and say hello and hope you and the family are all well. I hope the Fall is good where you are, the trees and fields near us are turning a lovely autumnal colour and there are some nice walks nearby for us to enjoy. We had a lovely holiday in Tenby with Amy and Andy and called into the book town of Hay-on-Wye and I managed to get a couple more Fountain Pens along with a nice haul of books. Sending love and hugs to you and the family from both of us dear friend. Anyone home? Hope life is good. Anymore book bullets for me? Just managed to get the time (in time) to hope that you have had the loveliest of Thanksgiving Weekends, Diane. So behind but 110 books read so far. Will put them in later. I decided to return all my library books and delete my holds. I have too many wonderful books of my own that I want to read! Lots to catch up on later. >182 karenmarie: Hi Karen! Missed wishing you a Happy Fall but I was able to enjoy some of it while I was with my Dad in October! I can wish you a happy holiday season, though! I hope you have a wonderful Christmas! >183 johnsimpson: Hi John! I had a wonderful fall and got to see 3 of them! One in New Jersey, one in North Carolina and one in Florida! Had a wonderful trip taking my dad to my brother's house in Florida where we celebrated his 90th birthday for 7 days! Then I spent another week at his house taking him to doctors' appointments, all good, and shopped for a new recliner with heat and massage. It should be delivered just in time for Christmas. I just caught up on your threads and you have been busy! Will be trying to keep up better than I have lately! >184 Berly: Oh, Kim I have so many book bullets for you! I will be catching up in a few days. I just finished The Immortalists a few minutes ago and it was excellent! >185 PaulCranswick: Thanks, Paul! As busy as you are, I really appreciate your Thanksgiving wishes! It was a wonderful time with all of my husband's family, about 32 of them! We're now getting our house decorated and cleaned to host all of them plus my daughters on December 22 for a Christmas dinner, we will have about 38 to 40 relatives here! Good thing they are all wonderful people! >188 Dianekeenoy:, Hi Diane my dear, sounds like you had a really good Fall and what a way to celebrate a 90th birthday, seven days, what a treat. We have been busy over the last few weeks and now we are relaxing at the end of the 2nd day of our Wiltshire jaunt, tired but very enjoyable. >191 johnsimpson: Have a wonderful time, John! Love to you and Karen! >192 Dianekeenoy:, Hi Diane we had a great time with just a minor hiccup on the last day, I will be describing our last two days on my thread my dear. I see Karen has been commenting on your Facebook posts, new friendships made. >193 johnsimpson: Hi John, so glad you and Karen had a great holiday! I got all caught up on your thread and was able to enjoy reading about your fun. I love reading Karen's Facebook posts, your tree looks beautiful! We got the artificial tree up in the living room but are still working on the real one in our family room. Hopefully, we'll finish it up this evening. Still lots of decorating to do before the big Christmas Dinner on the 22nd for Kevin's very large family!!! Love and hugs back to you and Karen. Audiobook - I had forgotten that I had already listened to this awhile back but it was just as good the second time as it was the first! Very hard to stop listening. I had requested this from my library but when I brought it home and read the first chapter, I knew that I wanted to own this book. So, I bought it! I'm not really into celebrities but I really loved this book and there are a lot of wonderful recipes as well. I found my own mother's potato salad recipe which I had lost! SInce I am from North Carolina, this book brought me back to my roots! But, you don't have to be from the South to enjoy it. Excellent book, I really enjoy the Cormoran Strike books! An excellent finish to a wonderful trilogy! This book starts with how Julius Bluthner made the trip into the dense forests in the Romanian mountains after the leaves had fallen and snow blanketed the ground. He searched out the oldest trees whose branches he couldn’t reach. He would knock them with his walking stick, and press his ear against them listening for the music inside. When he found what he was listening for, he would mark them with a piece of red wool. This first chapter is lyrical in how the Bluthner pianos were made all those years ago. Our story focuses on one piano in particular as it is bequeathed in 1962 to an 8 year old Russian girl, Katya who discovers what she can do with music on her beloved piano and what this music does for her. After marrying and emigrating at her husband’s insistence, her piano is lost in the shuffle. We then jump to 2012 in Bakersfield, California where 26 year old Clara Lundy has to move out of her boyfriend’s apartment with her piano, a Bluthner upright she has never learned how to play. It had been given to her by her father shortly before he and her mother died in a house fire. Orphaned at age twelve, she’s raised by her aunt and uncle. Her uncle who owns a car repair shop trains Clara to become a first-rate mechanic. When she breaks her hand while moving her piano, she decides to finally sell it. When a buyer immediately accepts her offer, she has a change of heart but the buyer talks her into renting it to him for several weeks. This starts the reader on the journey of the mysterious and very tragic connections between Katya, Clara and the Bluthner piano. ARC from my local library book club. I loved this book after finding it on multiple threads here! Looking forward to book 2. Kimberly Leamy was between classes at Northampton Community in Melbourne, Australia where she taught photography classes three times a week when she was approached by an American stranger. He then proceeds to show her a picture of two year old Sammy Went who was abducted from Manson, Kentucky right after that picture was taken. James Finn, the American accountant, thinks that Kimberly is Sammy Went. Kim believes this is a case of mistaken identity because she was raised by an incredible mother, recently deceased, who would never have stolen a child. However, as she starts to investigate her family, there are too many unanswered questions, so she travels to Kentucky to find answers. This is an exciting novel with lots of twists and unexpected turns until you arrive, breathless, at an incredible climax! This is Christian White’s debut novel. He says in the author’s notes (I love the author’s notes!) that that he had no real idea of how to write a novel. He had tried and failed before. So, he turned to Stephen King and read his book, On Writing, which is part memoir part how-to-guide which gives you a clear roadmap to turning your idea into a manuscript. It worked extremely well in this case! Looking forward to his next book. This book made me cry...that has never happened with a Stephen King book before. It's a very short book but just wonderful! I have so many wonderful books on my own shelves that I decided to return all of my library books and cancel all of my library holds and read my own books in December. This was the first one and what a great start! Book 3 of the Bobiverse...Loved it just as much as the first two. Listened to all of them on audio and the reader is just wonderful! Excellent book, definitely want to do a review later. I have had this book on my shelves since it came out and finally pulled it out and read it in one sitting! It's wonderful when the book lives up to the hype! Well, I read this book straight through and after I closed it, I said out loud, “I didn’t see that coming!” I’m going to quote from the back of the book that says it best. Plus I definitely don’t want to give anything away, what an exciting book! From the back of the book: “Alicia lives a life most dream of. She lives in a house in one of the most desirable areas of London. She is a famous painter, and her husband, Gabriel, is an in-demand fashion photographer. Her life is perfect. That is, until one evening when Gabriel returns home late from a fashion shoot and Alicia shoots him five times in the face, and then never speaks another word. 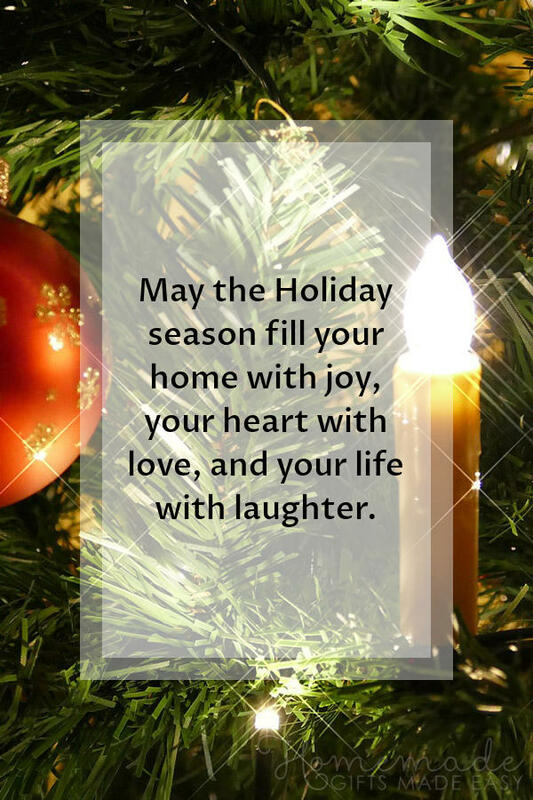 enjoy everything about the holidays! Last Sunday, we all went to see my grandson, T.J. in A Christmas Carol. He played 4 parts, including young Scrooge. It was just wonderful and it's not just because I'm his grandmother, but when he's on the stage, you just can't take your eyes off him! Monday night I was able to have dinner with everyone again for Tyler, my youngest grandson's 12th birthday! He's already taller than I am (T.J. actually towers over all of us at 5' 10"!) and he's the baby of the family! I got him a metal detector and we're all looking forward to finding buried treasure! >216 Dianekeenoy: I'm hoping to get to that one in 2019! >219 thornton37814: Lori, I couldn't believe how good it was!!! You will love it! Hi Diane, we would like to wish you and your family a very Merry Christmas and festive season and send seasonal love and hugs to you all from both of us dear friend. Hello Diane my dear, I hope you and the family had a really good Christmas. We would like to wish you and the family a very happy new year and hope that 2019 is a good one, sending love and hugs to you and the family from both of us dear friend. >213 Dianekeenoy: I bought it and haven't read it yet. I can't start it today, but will try to read it in January. grrrrr....(actually, I am happy) to say that many of your books are now on my tbr list for 2019. Highlights of 2018 include the many times we shared the love of books, our trips to book sales, and our visits to the Hotel Bethlehem for lunch. Sending you and Kevin and your family all good wishes, for health, for happiness, and of course, a lot of time to read. >221 johnsimpson: Thanks so much, John! It was a very happy holiday season and exhausting! Thanks so much for keeping in touch. >222 PaulCranswick: Thanks so much, Paul! It was a wonderful holiday season, hoping yours was as well. >222 PaulCranswick: Happy New Year to you and your family, John...a little late but still heartfelt! 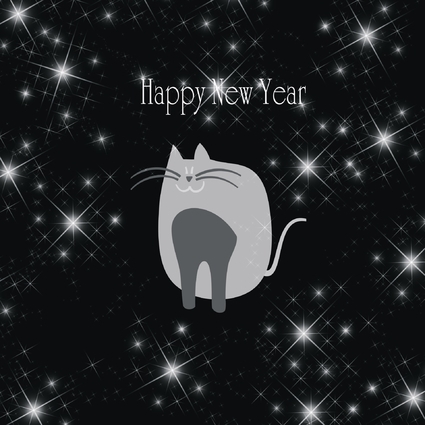 I hope that 2019 will be a most happy and healthy new year for you and Karen! >224 thornton37814: Happy New Year, Lori! 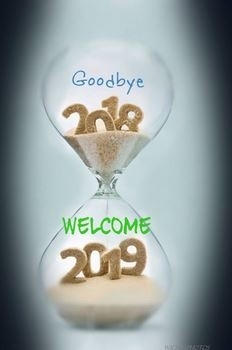 I hope 2019 will be a very happy and healthy year for you and yours! >226 Whisper1: I know, right? And, now that you're finally retired, we can have so much fun more often! I wish you and Will and Lilly a most happy and healthy 2019! Talk soon! >227 Berly: Thanks, Kim! I hope you and your family have a most happy and healthy 2019!